Your help is needed this holiday season! Help bring help to the table this holiday season! 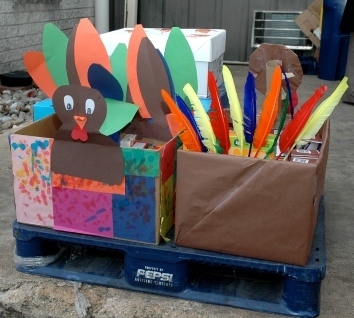 Host a Thanksgiving food drive for families in need! If you are interested in having a Food Bank of Delaware staff member speak to your group as part of your food drive, please contact Caitlin Custer at (302) 292-1305 ext 253 or ccuster@fbd.org. Click here for a printable shopping list! Please submit your form at least 3 working days prior to the day you want a barrel or a food drive pick up. Once you submit your form, a confirmation screen will appear. If you do not receive this confirmation page, please email kturner@fbd.org. Thank you for your interest in hosting a food drive! Please complete the below form. If you collect more than 20 boxes or bags, we will schedule pickup of your donation. If you collect less than 20 boxes/bags we kindly ask that you drop off to a drop-off location to help reduce our transportation costs. Is this food drive being held in conjunction with an event? Have you ever hosted a food drive for the Food Bank of Delaware?